Are you looking for a rewarding career in the transportation and logistics industry? Commercial Freight Services (CFS), CFX Logistics, and Leigh-David are leading freight management companies offering our customers a full range of customized transportation and logistics solutions — with a single point of contact. We move, manage and distribute commercial and retail products and goods for our customers across North America. Whether you are interested in account management, operations, dock-work, or driving, the CFS family of logistics companies provide exceptional career development and professional growth opportunities. When you join CFS, you’ll have the opportunity to work in an environment that is energizing, diverse, and respectful. Wherever you work in the company and whatever you role, you will be part of team united by a commitment to exceptional customer service. Are you looking for a great place to work and a career opportunity where you will be challenged, encouraged, valued and rewarded? From operations, customer service, to sales and administration, we are always looking for ambitious, professional employees to join our team. With the complex security requirements of moving goods domestically and internationally, employees must also pass a very detailed background security and reference check. If you are self-motivated and detail-oriented, we would like to hear from you. Our drivers are professional, safe, and courteous – and they uphold our customer’s expectation for exceptional service. We offer competitive pay and benefits, steady miles, the latest technology, and well-maintained trucks. 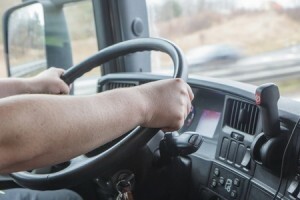 Drivers are supported by 24-hour, seven days a week dispatch and an organization that is financially stable and fiscally responsible. We are also committed to helping our drivers find a balance between the job and the need for quality time off. Companies across many industries rely on CFS for robust and effective logistics solutions. Ask us how our experienced industry-specific teams transform even the most complex logistics challenges into cost-effective and efficient solutions.